Even if you have your valuables stored in a locked safe, that doesn’t mean they will always be protected in the event of a fire. Value Safes is happy to offer fireproof home safes for sale online. With these fireproof safes, your valuables remain undamaged for at least 30 minutes after coming into contact with flames. No matter what type of property you own, dealing with a fire is never something anyone looks forward to. Because it probably will not ever happen does not mean you should not be prepared. If you have items valuable enough to keep in a safe, you should make sure those belongings stay secure even during the first moments of a fire. With these fireproof safes, you can rest easy knowing your things will be safe until the fire can be put out. We invite you to browse our site to learn more about our fire proof safes. Place your order today and we ship your safe in no time. For more information give us a call today to speak with a member of the Value Safes team. 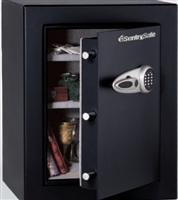 The Sentry Fire Safe O500 from Value Safes offers ½ hour of documented fire protection of all your important documents and valuables, withstanding up to 1550 degrees Fahrenheit. 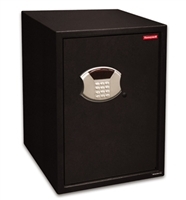 Secured by a flat key-lock closing device, this safe features a capacity of .15 cubic feet. Weighing in at a mere 12.3 lbs., this safe will offer you peace of mind in the unfortunate event of an average house fire. For more information, contact us today! 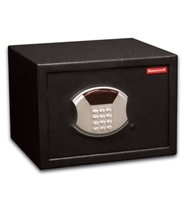 For an affordable safe that will protect your documents and valuables, try the Sentry Fire Safe 1170. This fire proof safe provides UL fire protection for up to ½ hour in a small or average house fire. 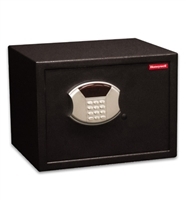 Featuring a convenient lock and key closure, this safe weighs 32 lbs. and was built to accommodate hanging folders and important documents. 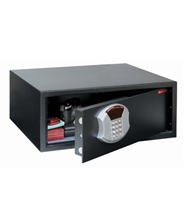 For more information on this or any of our other safes, contact us today. 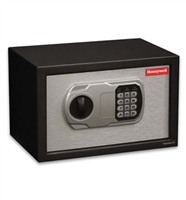 The Honeywell Small Steel Security Safe 5105 is one of our highly secure safes that are perfect for an office or hotel. Featuring 1.0 of interior cubic feet, this safe will also fit large laptop computers in addition to other items. 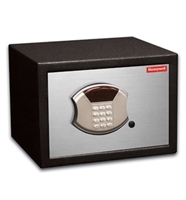 The safe opens using the easy LED electronic keypad, which comes with an emergency override key. Extra security is provided from the included concealed hinges, live lock bolts, and recessed door. For more information on this 35.5 lb. safe, contact us today! Fingerprint burglary safe for home or office use, an excellent choice for the next generation in biometric (fingerprint) security access! For a fireproof safe with many features, try the Sentry Fire Proof Safe T8-331. This safe is large enough to contain all of your important documents or valuables, boasting 4.3 cubic feet of interior space. Able to withstand up to 30 minutes in an average fire with up to 1400 degrees Fahrenheit, the safe features a secure electronic lock that can be overridden using the emergency key lock. Everything is secured behind the solid steel pry resistant door. Contact us for more information!